Who lives in a Pineapple under the Sea? –Who draws him? What’s SpongeBob Really Like? is the most visited page on this blog. 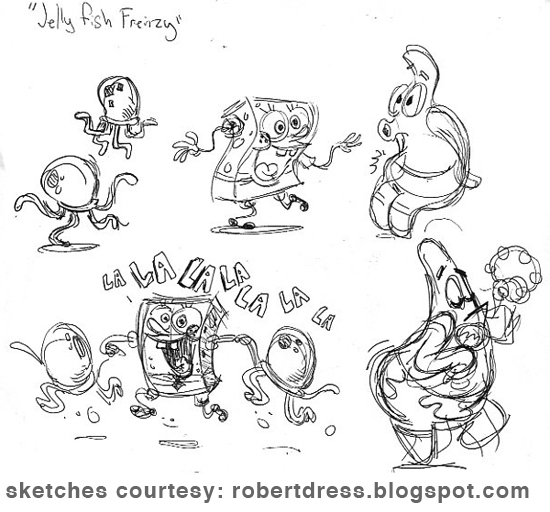 KU grad Amanda Geisinger, web designer of Nick.com’s SpongeBob site, told us she can fiddle with SpongeBob art, but only a few select artists are actually permitted to draw SpongeBob. Of course, Stephen Hillenburg, the creator of all Bikini Bottom’s characters, is in that category. But who else? 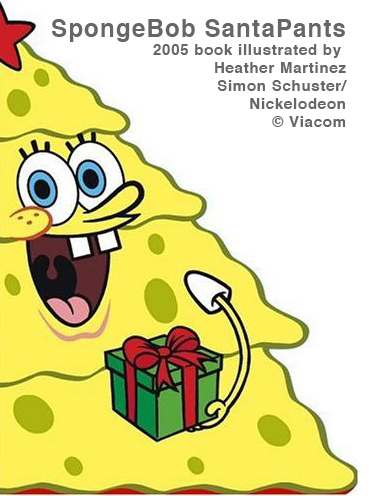 An Amazon.com search reveals over 650 results for the term “SpongeBob” in books and at least a dozen illustrators. 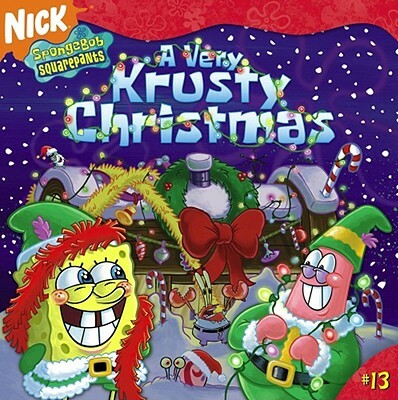 I was amazed to find these titles: SpongeBob RoundPants, SpongeBob SantaPants, SpongeBob SpookyPants, SpongeBob PartyPants and WhoBob WhatPants? 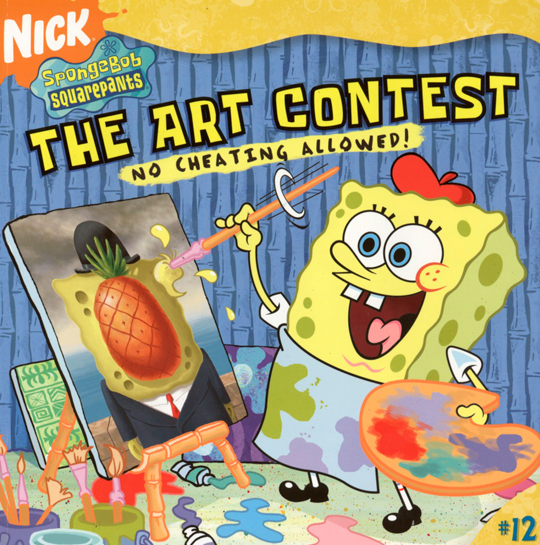 Based on the cover art by Clint Bond, it seems our mellow yellow hero becomes a nudist in SpongeBob NaturePants! 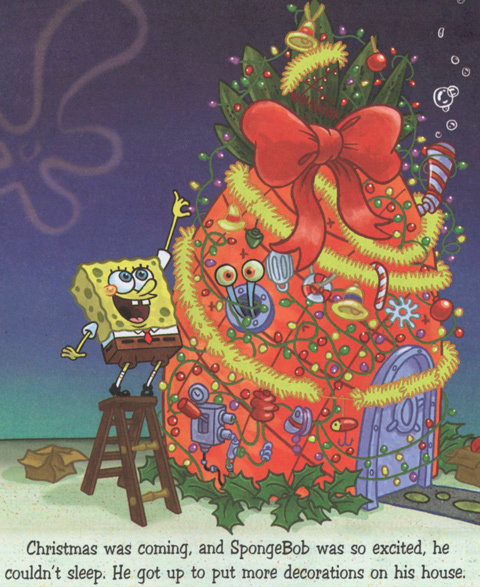 I’m reading A Very Krusty Christmas by David Lewman and The Art Contest by Steven Banks. These choices are not random, but rather based on my background as a Santa turned illustration professor. Both books, it turns out are ably illustrated by NY-based illustrator Robert Dress. Dress’s blog is a lesson in illustration; the fluid line drawings that fill his many moleskine sketchbooks are a joy to behold. I wrote to him and he was good enough to answer a few questions. What is SpongeBob really like? Has SpongeBob changed your life? What is the project you enjoyed working on with him the most? Can you share any sketches? Sincere thanks much to Robert Dress for his quick responses. As he points out, he is one of many artists privileged to work with SpongeBob. He also wrote that he wasn’t permitted to dicusss future projects, but we hope to see more of his work. By the way, Stephen Hillenburg, SpongeBob’s creator, doesn’t do many interviews, but made exceptions for his alma mater, Cal Arts, here, and the Washington Post. All SpongeBob characters are © copyright Viacom International and used here for review purposes only. < Previous Incoming!! Chris Dacre: WAR is FUN!